Summer is nearly over and already the children in Scotland have gone back to school! 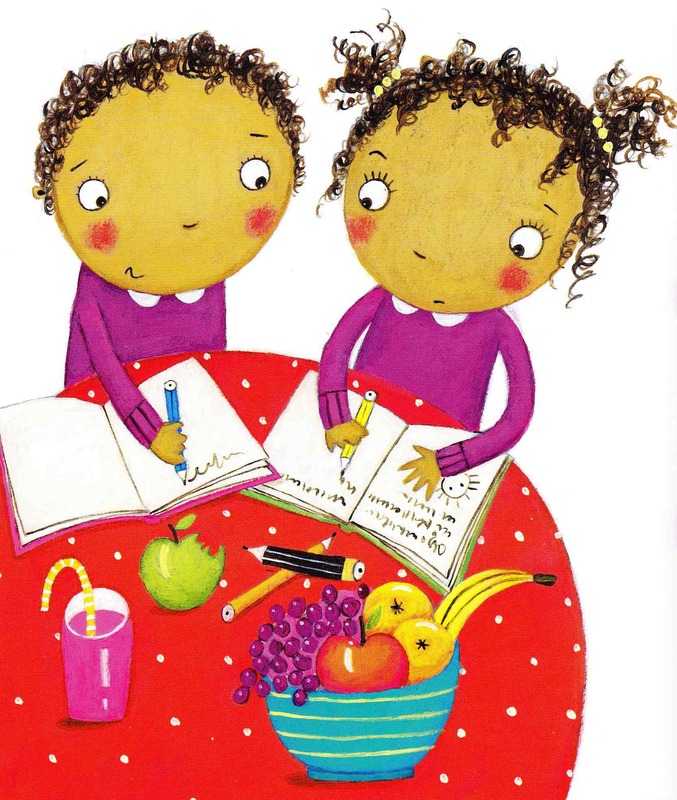 Wednesday the 17th of August was the first day of school for lots of Scottish children. I hope they enjoyed seeing their friends again, meeting their new teachers and comparing notes about the holidays. 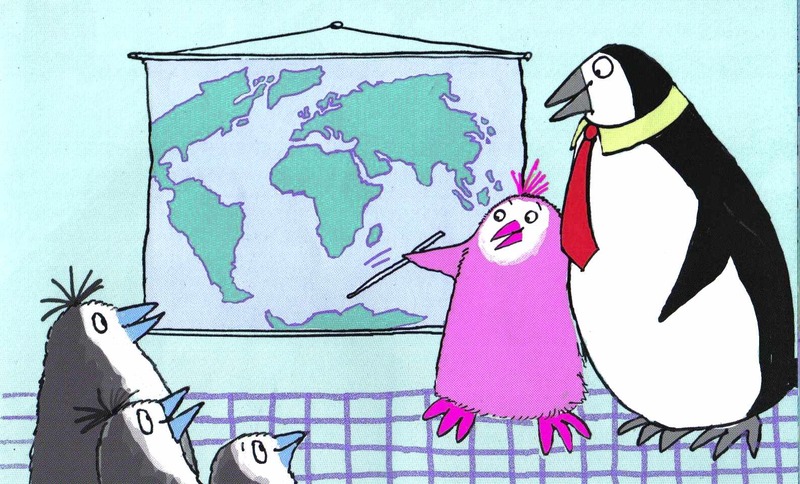 In the picture above, Patrick the pink penguin is telling his classmates all about a trip he took to Africa. When I was at school I remember being very excited about the first day back. I loved the feel of a clean, new notebook and couldn’t wait to try out my brand new pens and coloured pencils! It was a little bit scary, too, and I hoped that my teacher would be nice and the other children would like me. When I was very small I had to wear a scratchy wool uniform which I hated! 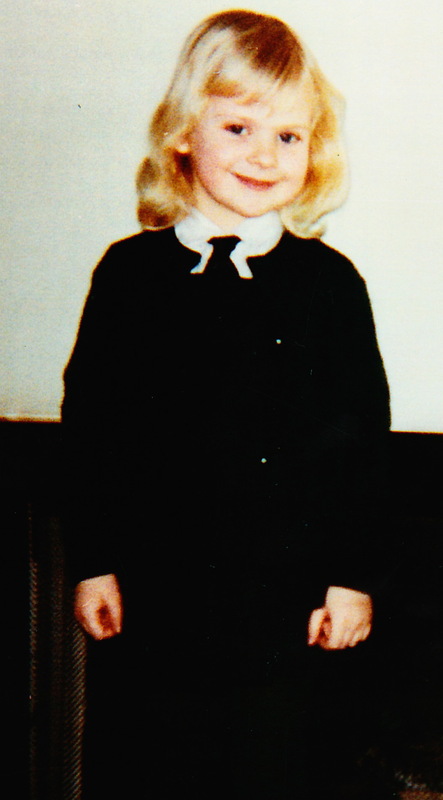 It had a tartan pinafore (dark green and black, the Black Watch tartan), itchy green tights and a white blouse and tie. I think my mum must have tied the tie for me because I was much too little to manage! It’s hard to see in this dark photo but I’m also wearing a black cardigan. These days uniforms are much more comfortable. Lots of schools have grey skirts or trousers and a lovely soft sweatshirt in the school colour. I wish I’d been allowed to wear that instead! I hope you all have a great time back at school, whether it’s in August or September. Good luck and have fun! 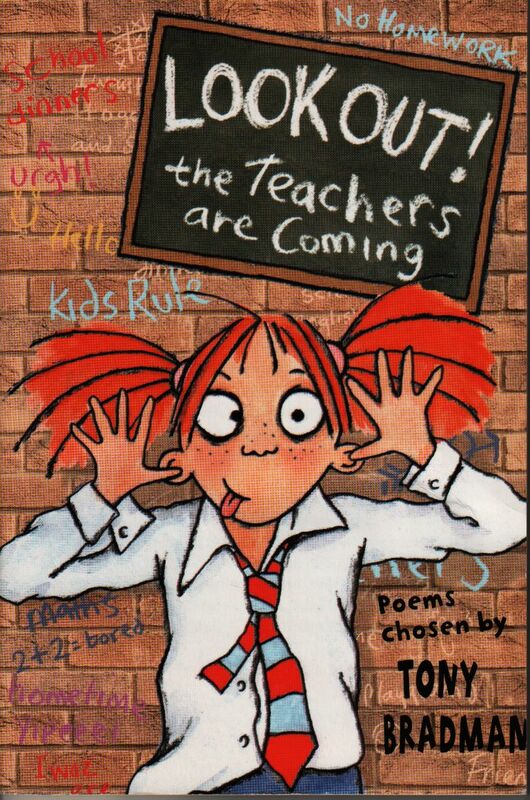 I love writing poems, and for me the best bit is getting the rhythm and the rhyme just right. 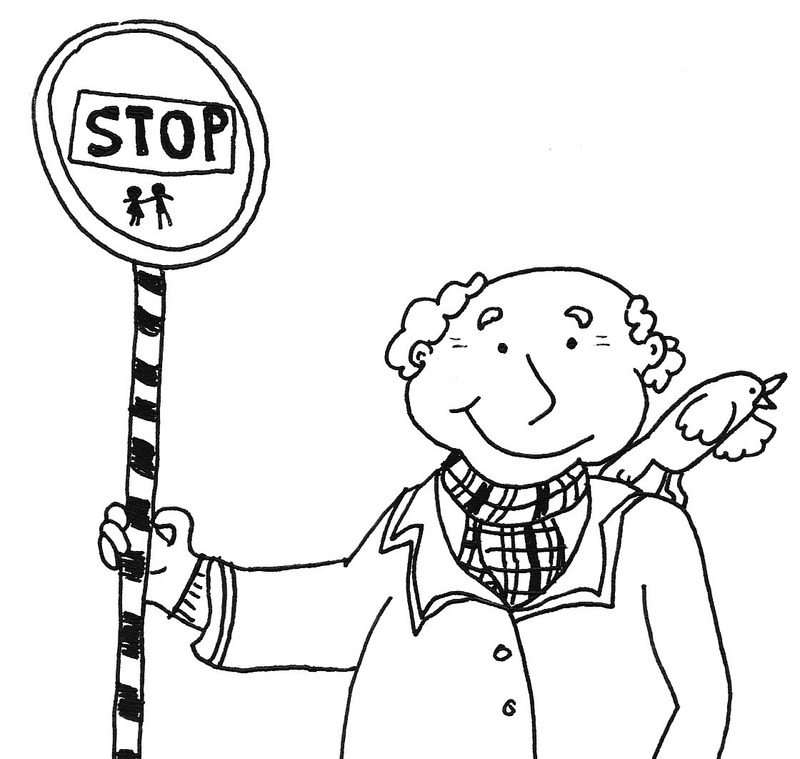 Sometimes that’s very hard to do, and I can spend ages stuck on one line. If you visit my website HERE you’ll see lots of my poetry, but I think today I’m going to show you a poem that no one has ever seen before! It is called Our Lolipop Man and is based on a real person. we cross when he says we can go. he puts on a fabulous show. she squawks if it’s going to snow. wouldn’t you say it was so? a wonderful person to know. 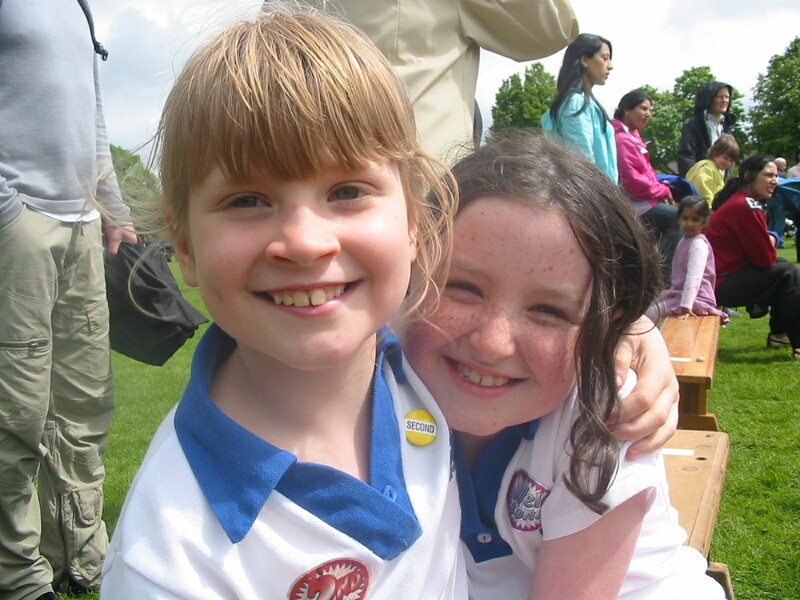 Spring is here and Sports Day is coming soon! It’s time to practise those races and get ready to cheer for your friends. 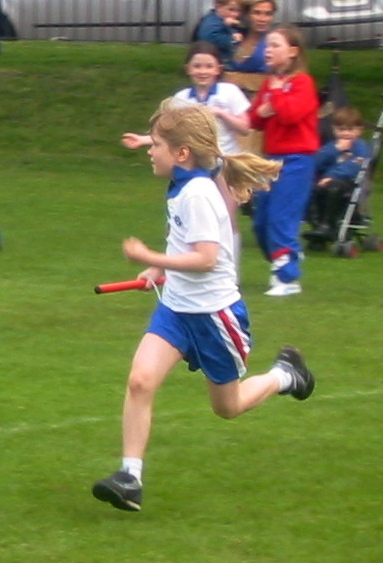 When I was little I was terrible at running, so I didn’t get too many ribbons on Sports Day. I just trotted along happily without worrying about coming first, while all the other children whizzed past me towards the finish line! My son Cameron is a much better runner than I was. 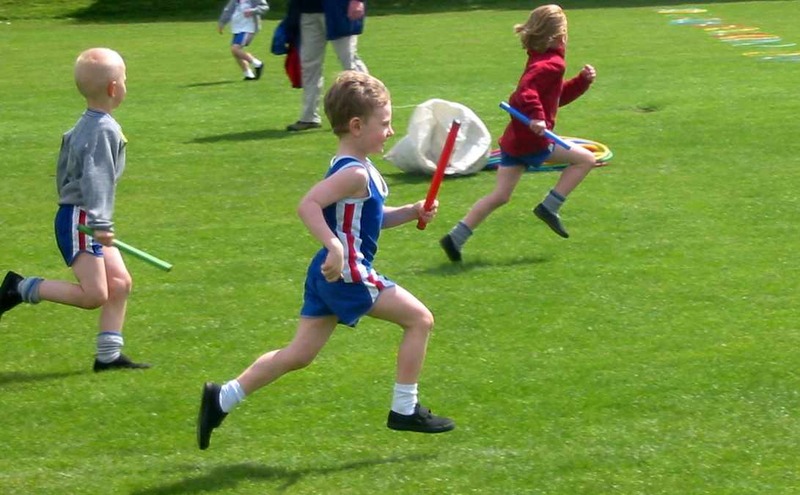 That picture at the top is from his very first Sports Day when he was five. He was going as fast as he could in the relay race! When he wasn’t running, Cameron had lots of fun digging in the grass for worms. You can see he found a really big one that he was very pleased with! 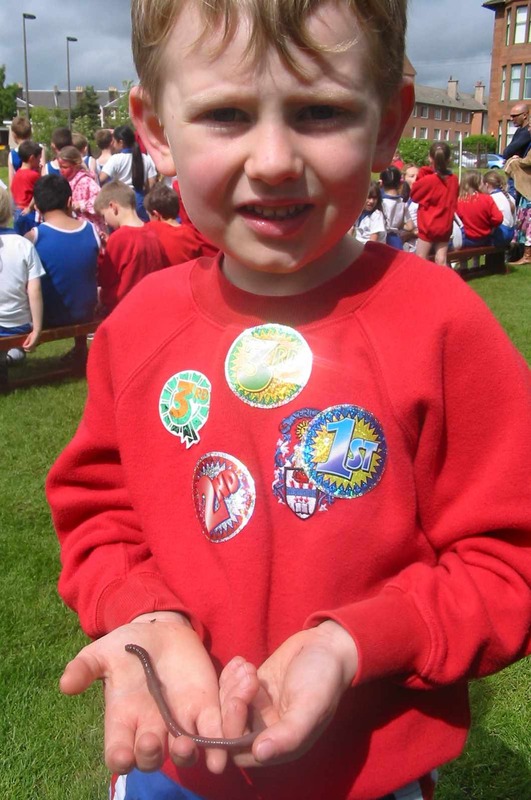 I think the worm was his favourite part of Sports Day that year.